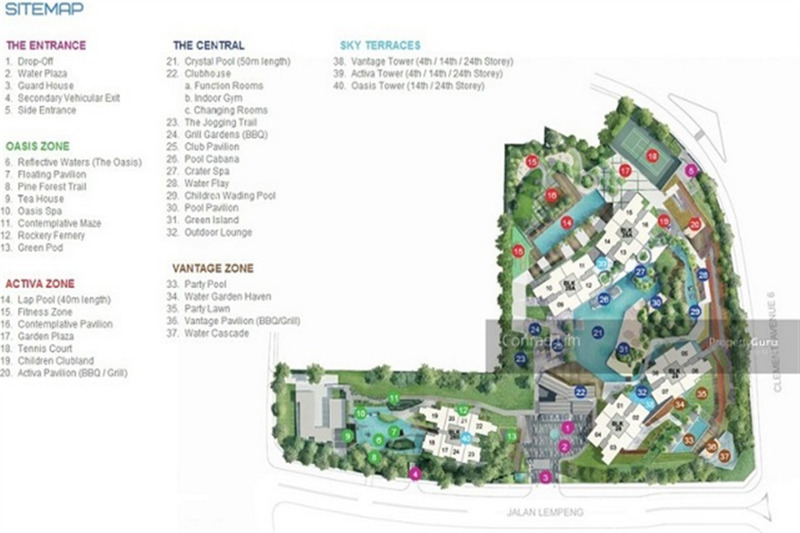 A new condominium located at Jalan Lempeng, off Clementi Avenue 6, Singapore. Developed by IOI Corporation. The Trilinq comprise 3 Towers of 36 storeys; offering spectacular unblock views towards Sungei Ulu Pandan, the Pandan Reservoir, Jurong East and Bukit Timah Hill. Huge land size 262.856 sqft with beautiful landscape and 8 sky terraces With a plot ratio of approximately 2.8. The Trilinq consists of a good mix types like 1 bedroom, 2 bedroom, 3 bedroom, 4 bedroom and Penthouses with approx sizes ranging from 538 sqft to 4500 sqft. As of April 2017, more than 570 units sold. 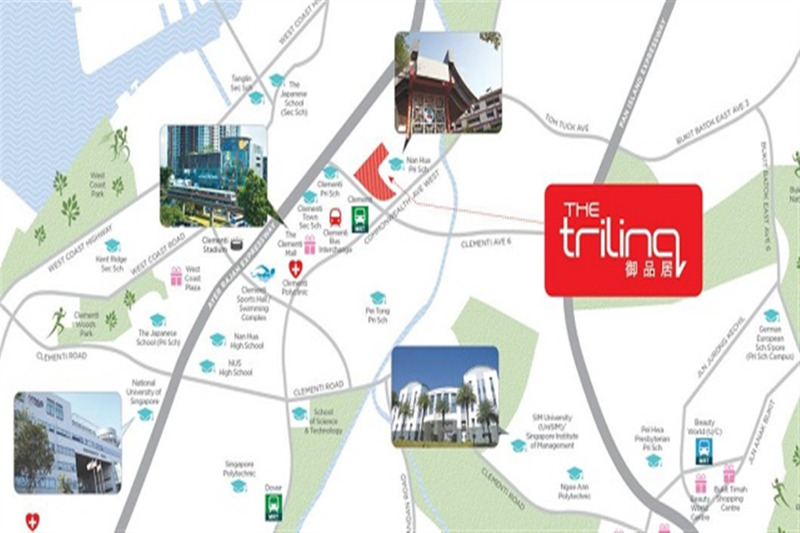 The Trilinq Singapore is in a prime location for shopping and entertainment options. A five-minute walk from Clementi Mall and a short distance from the Jurong Gateway, which is a massive complex with three malls inside, The Trilinq makes it almost too easy to shop. The Cinema Mall is also in close proximity. It is in walking distance of several excellent primary and secondary schools, and a fair number of highly rated high schools are also nearby. There are also several polytechnic institutes, schools for management or science and technology, and international establishments in the vicinity. The prestigious National University of Singapore is also in the area.